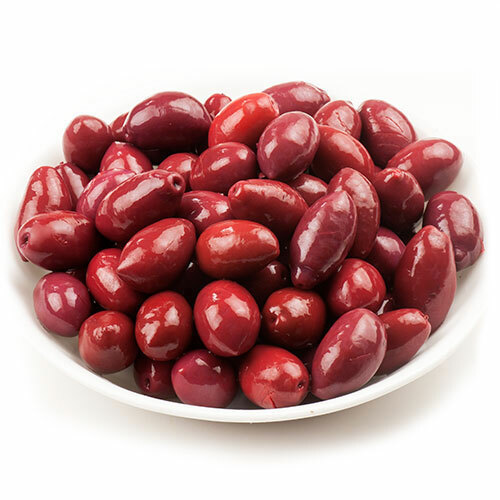 From Cerignola, a town in the Province of Foggia in the Apulia Region of Italy, these large, meaty, mild Red to Purplish olives have an extremely delicate flavor and are sure to please. Cerignola Olives are prepared using the Sivigliano system which is comprised of three phases. First, the characteristic bitterness inherent in the natural state of olives is removed by a series of different rinses; then the olives are covered with a saline solution which initiates a fermentation process; Lastly, the olives are pasteurized and packaged.